Dr. Steinkampf is the recipient of 29 research grants and has published extensively in the medical literature. 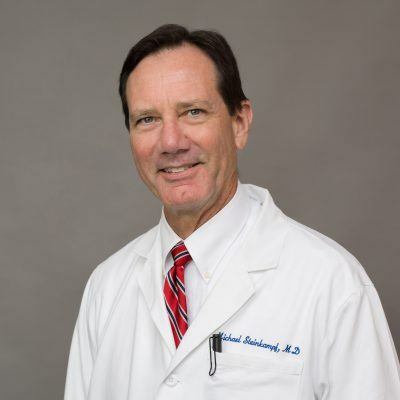 He is a member of the Medical Advisory Board for the American Infertility Association, the world’s largest infertility patient advocacy organization, and has been board certified in Ob/Gyn and Reproductive Endocrinology/Infertility since 1989. Dr. Steinkampf founded Alabama Fertility Specialists in 2004 after a successful career at the University of Alabama at Birmingham. Under his leadership, Alabama Fertility Specialists became known throughout the Southeast for providing the full scope of reproductive care with the committed practice of evidenced based medicine. Dr. Steinkampf retired from clinical practice in 2018 but remains a consultant to and surgical assistant for the physicians at Alabama Fertility Specialists. The rest of his time is spent on medical missions, beekeeping, and visiting his children and grandchildren.